Split-testing (also known as A/B testing) is a form of marketing research which allows you to determine the most effective form for your mailings and track subscriber behavior by comparing different versions of the same mailing. How can I create a split test and how does it work? 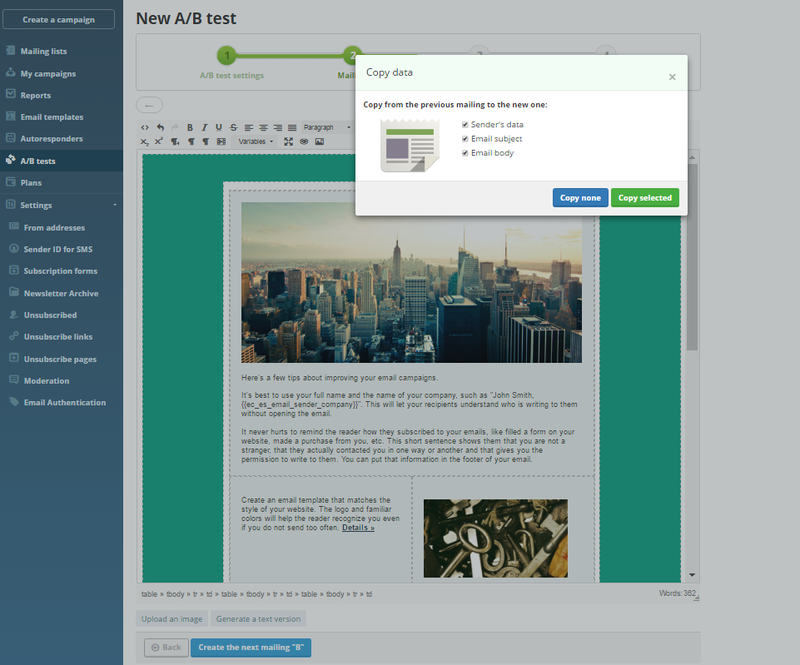 Split-testing can be set up through your personal dashboard on our service in the menu “А/В testing → Create an А/В test”. 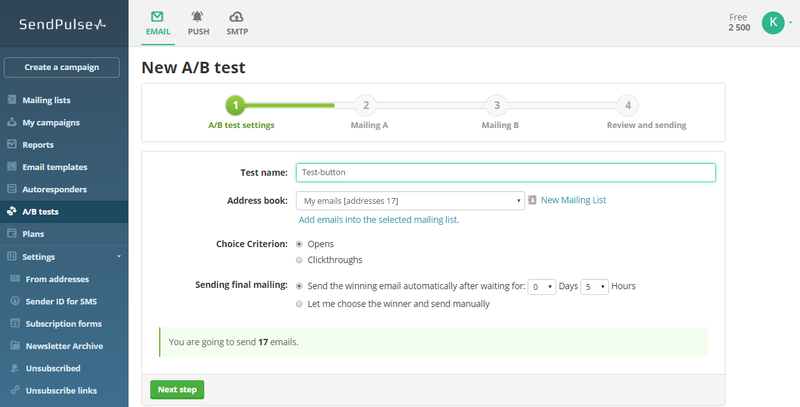 For a split test, you create an original message and one or more variants with a different e-mail subject, sender’s address, or e-mail body. The only thing that remains the same in a split test is your address book with your recipients’ contact details. By default, your entire list of e-mail addresses is divided up so that 20% of the total number of recipients will receive each version of the message (you can raise or lower this percentage if you so desire). After choosing criteria for determining the winning message, you send the original message and its alternative versions to respective portions of your address book. The service decides which mailing is the winner, and it can then be sent to the rest of your list. The winner can be determined according to one of two criteria: the number of recipients opening it, or the number of conversions. 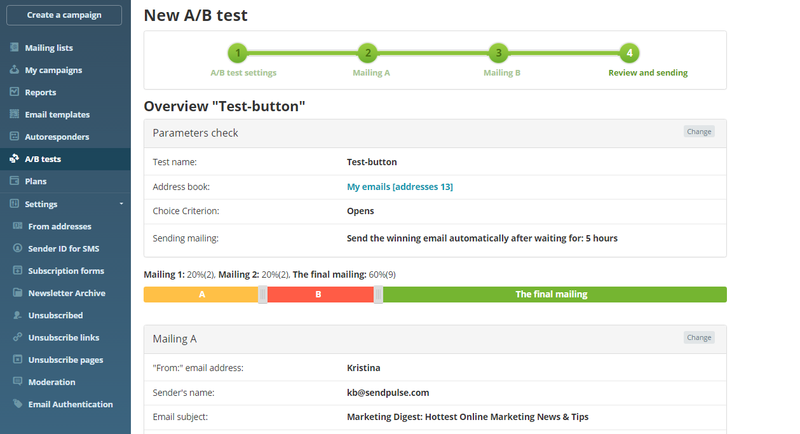 In addition, you can have the winning letter automatically sent or send it manually after examining the split-testing results. The larger a selection of addresses you use for testing and the more loyal your customers are, the more reliable A/B testing results will be. Split-testing technology allows you to analyze the effectiveness of your mailings and improve their results depending on your customers’ particular preferences.